I first read, “Writing Down the Bones” by Natalie Goldberg. I’d had it on my list to read more as I got so much out of this one. Old Friend from Far Away was the second of her books I’ve read (on my 3rd now). I enjoy her writing style and the writing exercises included in the book. I’m slowly making my way through them. This book encourages one to let loose with their own unique writing style along with teaching one how to remember and allowing forgotten memories to surface. 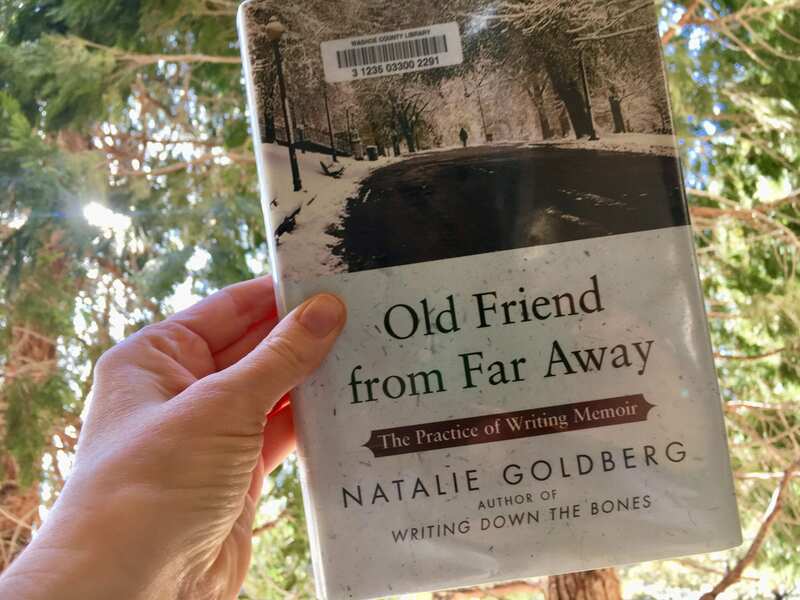 This entry was posted in Book Reviews and tagged book lovers, love reading, natalie goldberg book, old friend from far away book by Camilla. Bookmark the permalink.